Recently, industry leader and mentor, Jim Obermayer of the Sales Lead Management Association asked for thoughts about marketing myths. So my staff and I put our collective heads together and came up with our Top 16 Marketing Myths (or shall we say self-deceptions!). The SLMA, in turn, offered its opinion on reasons behind each myth. In some cases, we countered or elaborated. Here are the first five myths from our list; the rest will be posted in the coming blogs. 1. Prospects don’t want to talk on the telephone. SLMA: Of course they want to talk to someone, or why would they inquire? They don’t want to talk to someone who isn’t willing to listen to them. DMP: Let’s remember, people buy from people. They are time short and seek information that will benefit only them. Some firms have forgotten this and only engage digitally. Make sure you have the human touch in your cadence because this can move the relationship forward much more quickly. 2. It’s not worth calling someone again if they haven’t responded to a previous call and email. SLMA: Prospects are not on your schedule, but their schedule. It may take 3-5 touches to reach them. DMP: Our call center experience shows it can take 13 (or more) touches to reach them. Yes, this is a true study looking at the B2B multi-touch process over many years. Click here to see the details. 3. Nobody listens to voicemail. SLMA: Beg to differ. Voicemails are listened to; obvious sales pitches aren’t. DMP: Use voice mails strategically – not on every call attempt, but use them to let prospects know about your next touch point, such as the email offer coming their way next or the webinar invitation. Treat them as personal conversations. SLMA: How arrogant can you get? It must have been an engineer who said this. Only in very small marketplaces do sellers know all of the buyers and even then, this attitude is unwise. 5. In-house sales development reps become our future salespeople. SLMA: One in ten can make the grade; the rest stay in development and not sales. Why oh why place your precious new inquirers in the hands of the “sales newbies” who know so little? By the time they learn something about sales and about your products, they will have blown a hundred opportunities. DMP: We also believe we are talking about two different personalities and skill sets here. Some people are tenacious and excellent at conducting surveys on the phone or dealing with customer needs, but aren’t geared to face-to-face meetings or actual selling. They are ideal for inside sales development but not good for outside sales. And do remember, the number one skill needed for a pre-sales or inside lead development rep… listening! 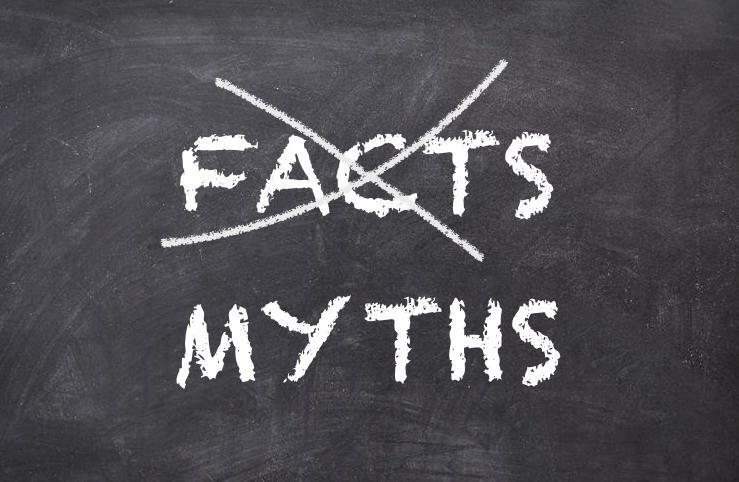 We invite you to share your comments and favorite marketing myths – please weigh in! If you want to learn more about Sales Lead Management Association, please click the link.